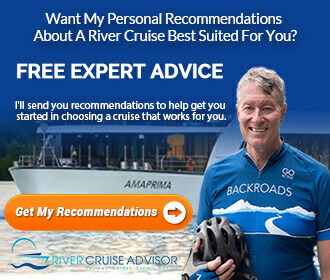 You are here: Home / Commentary / River Cruise 101: Why Cruise? River Cruise 101: Why Cruise? I see people on our site for a multitude of reasons. Some people using our site are looking to take their first cruise, some are travel agents, some are cruise enthusiasts. One question that I think is answered through most of our posts is why should I take a cruise? But in this case, I tried to answer that question as directly as possible. 1. Comfort & Ease – Cruising provides a way of travel that is easy and convenient. Sure you could go on a bus tour in a motor coach, or stay in hotels in various cities, but I think it is way more comfortable to travel by ship. River cruising is an easy way to see the highlights of many countries in one trip. Although getting around Europe is not all that difficult, with cruising all of your belongings are in one place. They don’t have to be lugged from one city to another. Cruise companies put together itineraries and tours that guests are going to enjoy. It takes a lot less research to find an itinerary that speaks to you than to have to come up with one yourself. Cruise companies are also willing to work with guests in helping them find flights and accommodations. If you are working with a travel agent, that is something that you don’t have to worry about. But if you are booking your trip on your own, it certainly makes things easier. 2. Views – The views on the rivers of Europe are some of the most beautiful I have ever seen. Sit in a lounge and enjoy some of Europe’s cities passing by you, or find an activity on board to enjoy while sailing. Being able to watch as the ship sails along the river is a completely different experience from looking at landscapes from a fast-moving train window. If you choose to sit on the top deck of the ship, you are surrounded by 360-degree views, something that other modes of transportation can’t provide. 3. Variety – If looking out onto the river isn’t your thing, you can always find something else to do on board. Shore excursions can vary too. If we look at Avalon Waterways’ Avalon Choice program, we see a variety of activities that range across certain skill sets. Don’t feel like hiking? Take a painting class instead. Apart from variety in excursions and itineraries, there are now cruises crafted specifically for certain age groups. Examples include U by Uniworld, geared toward millennials and Tauck’s Bridges sailings, aimed toward families. Hear more about Bridges sailings on my podcast with Tauck’s Katharine Bonner. A river cruise would be my choice of transport for my grandmother, my mom, and me. 4. Family Travel – Because river cruising can offer so much variety, it is good for family travel. In fact, we have written an article about river cruising with children. If you are traveling with children, river cuising could be a great option. No worries about leaving things behind in the hotel room as you switch hotels, pack and unpack once during your vacation. Now, I am not particularly speaking to families with young children, although I have seen many of those on the river who have had a blast. I am speaking more to families with children my age, I’m 23. 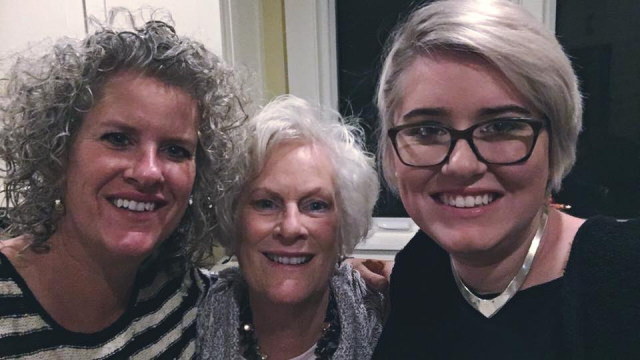 I could imagine my grandmother, my mother, and I on a river cruise having the best time. And even though I mentioned choice excursions, it is also fun to go on the same excursion as your family members so that you can talk about it over dinner. 5. Price – This is the big one for me. 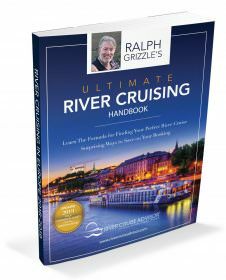 A lot of times when I mention that I work in the cruise industry I hear, “I would love to go on a river cruise but they are so expensive!” While that may be true in some cases, it isn’t always. Cruise companies often offer incentives for many reasons. Incentives can vary from reduced cruise fare, to free air, and more. It is also important to look at what river cruises include. 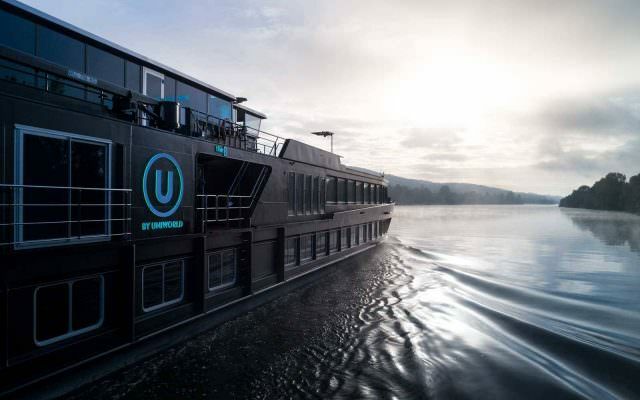 Many river cruise companies include beer and wine with lunch and dinner, so if you are interested in having a glass of wine with your meal, it may not cost you. Expensive, of course, is a realative term, so it is important to look at what cruise lines offer to make the decision that is right for your needs. Luckily, we have broken down river cruises by price in our article, What’s A River Cruise Going To Cost Me? River cruising may not be ideal for all travel sitautions, but it is my favorite way to see the world. What’s yours? How serious are the low levels of the Rhine River. I am handicapped and although I have booked a cruise feel very concerned as I do not want to have to debark, ride a bus, stay in a hotel perhaps and embark another ship. What is your advice for a May trip. Should I cancel? As of right now, the water levels in Europe have returned to normal. Last year was an anomaly, and while I don’t think it is something that could happen again, there is always a chance that it may. Just as we can not always accurately predict the weather, we can’t predict the water levels. I don’t foresee it being an issue, though. The only way to protect yourself from this risk is to purchase travel insurance that will let you cancel for any reason. I’ve never had to do that but you may want to research the blogs to see if others did, and how it worked. I read that in 2018 some of the cruise lines didn’t tell passengers until they showed up at the airport that they would have to take buses. I don’t know what your options would be in this situation, even with insurance. My recommendation would be to pick a good travel agent that would look out for your best interests. No one can predict the water levels.